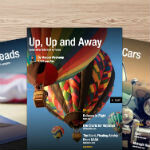 One of the biggest additions to Flipboard 2.0 was the ability for users to make their own magazines by curating stories. Magazines could be shared with others, and there have even been featured magazines as well. Today, Flipboard has updated its apps for both iOS and Android to allow curators to invite others to their magazines to co-curate content. Once you invite someone to your magazine, they will be able to add content to it either through the Flipboard app or using the Flipboard bookmarklet. The update also has the requisite bug fixes and performance updates. It is nice to see the update hit both iOS and Android at the same time though, especially since there was such a big delay between Flipboard 2.0 hitting iOS and Android. If you want to grab the update, just head to either the iTunes App Store or the Google Play Store.